Has anyone used CamStudio on GoToMeeting??? I have down loaded VoiceMeeter and watched all the videos. I am new to recording anything on anything. Any video that can be made to help out would be great. 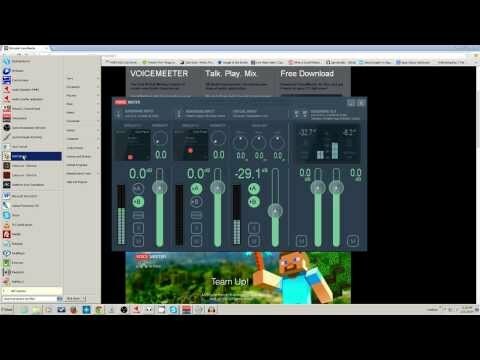 Did you watch the one on using Voicemeeter with Skype and the OBS recorder? The same ideas would likely apply. I understand not all participants may have Gmail accounts, but if they do or can have one, then it seems like the easiest solution to getting recordings of meetings with video to me. I will ask my trainer. either you or someone be willing to help me finish, i would pay $100 an hour to help me finish . Can your trainer start a recording from their end using GoToMeeting to record? (Or, come to think of it, can you?) I know GoToWebinar can record, but not sure about GoToMeeting. It generates a Windows Media Video file using their own codec, which you likely already have installed with the program. You should likely mention what country you are in and whether you can use Skype for screen sharing (or GoToMeeting for that). I'm sure we can get you up and running.